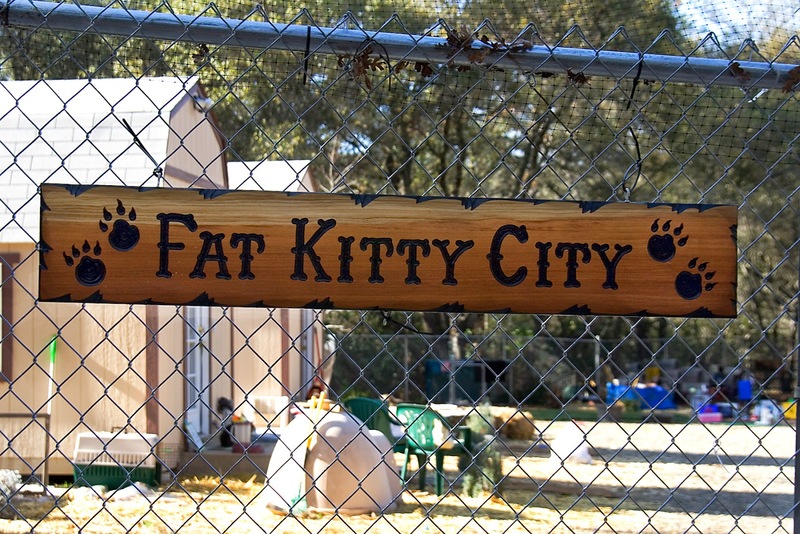 Fat Kitty City is a no-kill, cage-free cat sanctuary that also rescues dogs (as foster homes allow). Keep up with the Fat Kitty City news by following the blog and/or Facebook Page! The sanctuary recently expanded the fenced area, doubling it in size. 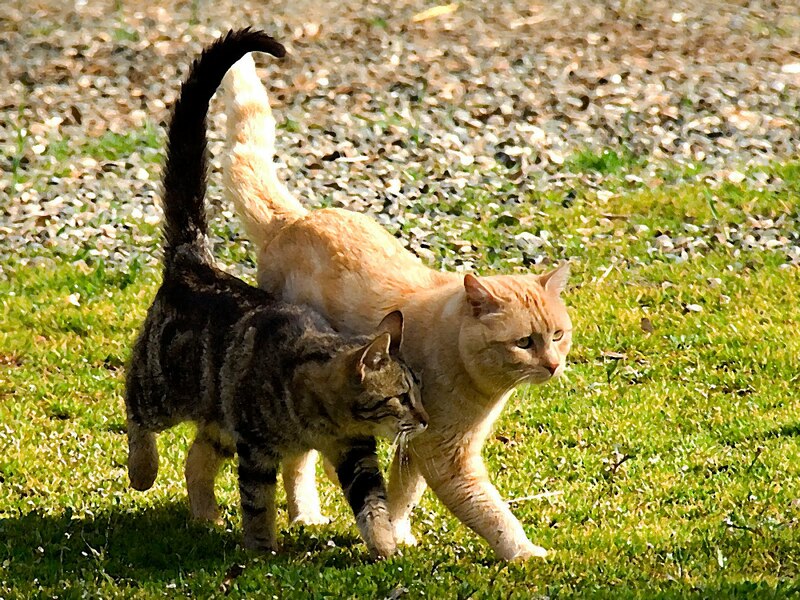 This allows us to help even more animals, as well as to give the kitties that are not wanting to socialize with the other cats a place to "get away from it all". 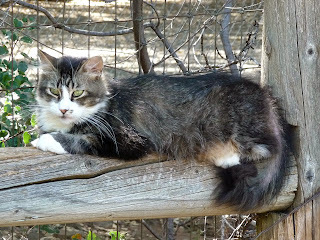 The sanctuary is truly a special place for cats: they roam free in a fenced area, safe from predators, and can choose to hang out in the climate-controlled buildings or any number of hidey holes and comfy cat furniture. 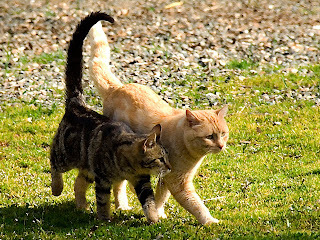 Fat Kitty City welcomes special needs cats, including those positive for feline AIDS, ferals, elderly kitties, and abandoned and abused animals. Many are adoptable, but some will live out their lives in their sanctuary or join our barn cat program. Volunteers stop by to make everything sparkling clean, or just to give them some love and attention. 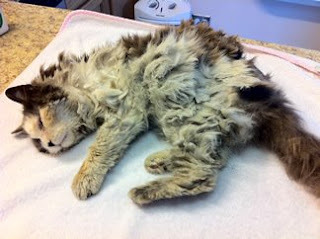 As you can imagine, the sanctuary's residents have an ongoing need for food, litter, veterinary care, and medications. Please help us out by donating or bidding on auction items. Thank you!